1) il Casale Cucina Campana + Bar teams up with Lexington’s own Wilson Farm for an authentic, farm-to-table, Summer Harvest Dinner. On Saturday, August 4th, starting at 5pm, the team at il Casale Cucina Campana in Lexington showcases a five-course rustic Italian dinner with the fresh and local produce of Wilson Farm’s summer harvest. Price is $75 per person exclusive of tax and gratuity. Space is limited – please call 781-538-5846 to make a reservation. 2) Saturday, July 28 is the official 20th Anniversary of the opening of Taberna de Haro, a Spanish restaurant in Brookline. This is one of my favorite spots, and they possess a fantastic Spanish wine list, including plenty of Sherry. To commemorate this Anniversary, they will offer a free glass of Cava o diners that evening, July 28. 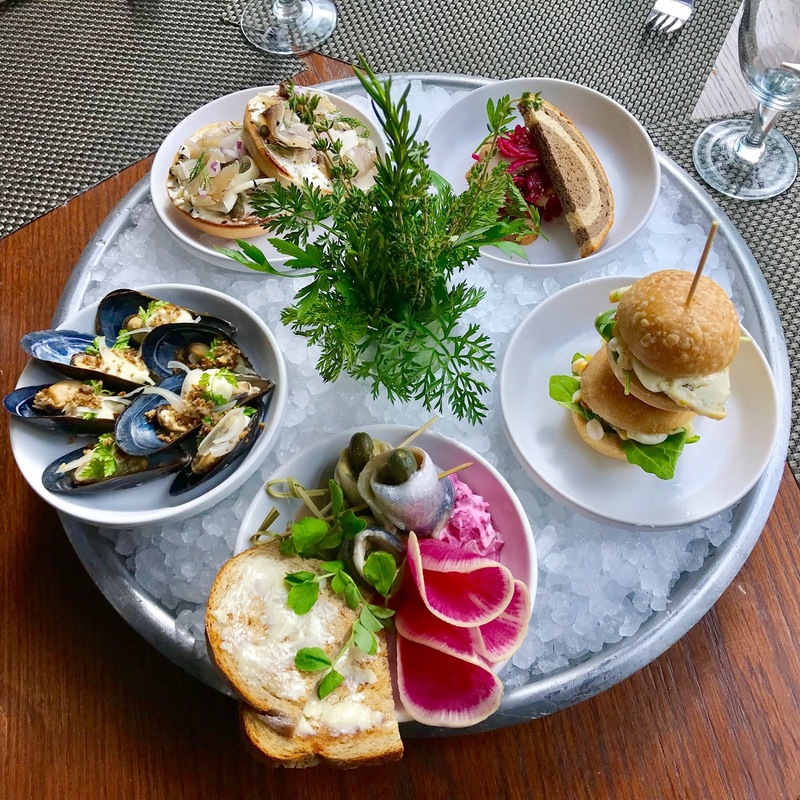 Also, Chef/owner Deborah Hansen has created a section on the menu called “Favorites from the Past 20 Years” in which she offers some of the best-loved dishes. This section, which includes dishes such as ‘orange-scented rabbit with olives & marcona almonds’ and ‘grilled langostinos with spicy pimentón mayonnaise’, will continue throughout the year. Unique Wine Tasting Seminars will be held in the fall to further celebrate this big birthday. Taberna de Haro opened in July of 1998 with the simple goal of serving the most authentic Spanish food in Boston. After twenty years Taberna de Haro is still the go-to place for discerning diners who seek high quality, authentic Spanish food in a friendly environment, accompanied by the most interesting Spanish wines. Back in 1998, the wine list consisted of about 40 Spanish wines. Today, the list is 40 pages long and offers 315 wines, all from Spain, making it one of the largest all-Spanish wine lists in the country. 85 of those entries are sherry. Hansen carefully curates the list, thoughtfully tasting each wine and then writing an elaborate description for every one of them. “The aim is to inform and to tempt,” says Hansen. Guests often remark that the literary style and the detail of the descriptions invite them to try wines completely unfamiliar to them. The prices are notably fair, and the wine program has garnered local, national, and international acclaim. The cuisine offers a taste of the humble Spanish food that you find on a family’s table or a local tavern’s menu. Yes, there are tapas, beloved items such as jamón croquetas, saffron & salt-cod balls, stuffed little piquillo peppers, spicy garlic shrimp,etc. ; but there are also lovable main dishes that show off the heart of Spanish cuisine, such as pan- fried sole, free-range chicken half, Madrid-styled meatballs, lamb chops with garlic- vinegar splashed french fries, and more. The sizable, satisfying dishes of Spain can get overlooked in the tsunami of tapas in any given city, and Deborah wants to give them their proper recognition as an integral part of classic Spanish dining. She visits Spain at least once a year to keep her repertoire broad and her recipes faithful. Although initially opened by partners Deborah Hansen and Julio de Haro, Taberna de Haro has been owned and led solely by Deborah Hansen since July of 2007 when she and Mr. de Haro parted ways. (He went on to open Estragon Restaurant). In 2012, Deborah expanded her 36 seat restaurant to 60 by taking over the adjacent real estate. The expansion included upgrading to a full liquor license and the creation of a 13-seat bar in the airy new space. The backbar that dominates the room is of local historical note. Purchased in an architectural antique store, the stunning piece that now holds sherry and gin bottles was once the marquee for the Paramount Theatre in Boston. You can see the tell-tale ‘P’ on the stained glass panels that flank the structure. Although not technically Spanish, Ms. Hansen has spent enough time in Spain to have mastered the art of warm hospitality and loving preparation of traditional Spanish food. Over the eight or so years that she lived in Madrid, Deborah travelled to all corners of this culinarily diverse country eating the local foodstuffs and drinking the wines unique to each zone. After receiving a B.A. from Bates College and an M.A. from NYU (in Spanish, and Spanish and Latin-American literature, respectively), Deborah also received her Sommelier title in Madrid while co-owning a restaurant there called Cornucopia. The full board is $35, or diners can order one item for $8 each. You can also pair your charcuterie with selections fro, Post 390’s extensive beer menu, including Dogfish Head 60 Minute IPA and Cisco Brewery Shark Tracker Lager. I attended this event last year & it was delicious & fun. 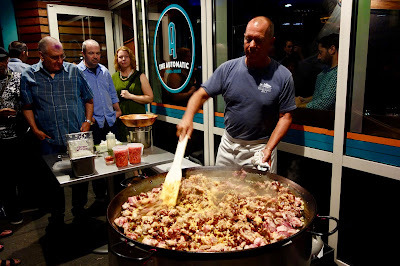 Check out my previous article, Paella Showdown, and see some pictures of the paella and details on last year's event. I highly recommend you attend this event. Who doesn't love a good Paella? On Wednesday, August 15th, from 6:30pm-9:30pm, Puritan & Co. will team up with area chefs to celebrate the life and culinary adventures of one of the culinary world’s greatest heroes, Julia Child. Guest chefs from around Boston will prepare their favorite recipes from, “The Art of French Cooking” and present guests with a unique multi-course meal. Taking place on Julia’s birthday, the dinner will celebrate the birth of one of the most important culinary visionaries in history. This event will be seated in a communal style at larger tables, though each dish is served individually. Carafes of wine on each table will be kept full for all to share with full wine, beer, and cocktail lists available for purchase.